The next Avatar is here, and her name is Korra. There is only one Avatar – one person who brings balance to the world. The Avatar maintains both the balance of nature and the balance of peace between the world’s four nations. Only the Avatar can bend all four elements – water, earth, fire, and air. Legend of Korra, an American animated TV series, premiered 4/14/12 on Nickelodeon and is the sequel to the hit show Avatar: The Last Airbender which aired from 2005 – 2008. 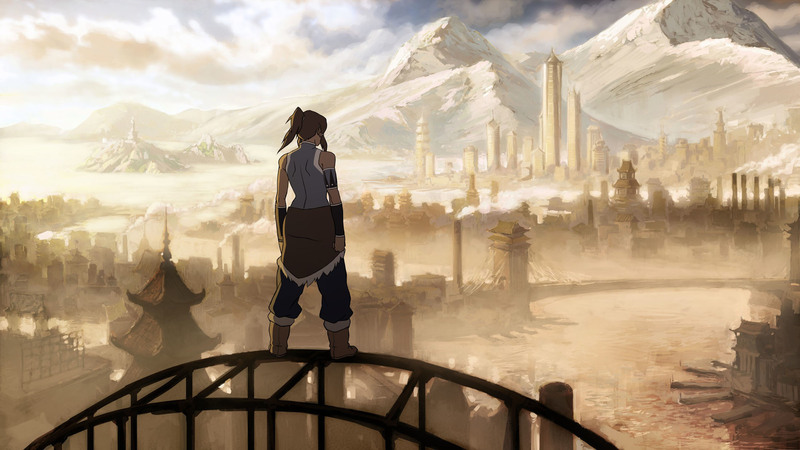 Legend of Korra takes place in the same Avatar: The Last Airbender mythology /universe, only 70 years later. Technology has advanced to around that of the 1920s. Korra will be darker themed than the original series – “more mature than original, but same sense of fun and adventure”. 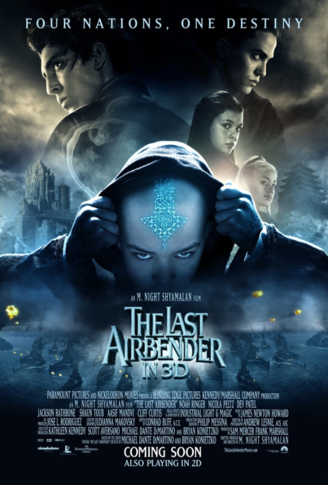 Should you go see The Last Airbender, directed by M. Night Shyamalan? Yes. Is the movie as good as the award winning animated Nickelodeon cartoon series? No. But then again, The Lightning Thief and Eragon movies weren’t as good as reading the books. First off, let me just say I’m not interested in reading reviews about the new The Last Airbender movie by critics who obviously haven’t seen the complete Avatar: The Last Airbender cartoon series. I’ve seen it. I loved it. I had to see the movie – how would it compare to the animated series? It’s a difficult task, to put the epic fantasy adventure world of The Last Airbender into a movie. The series is divided into 3 parts, or books – Water, Earth, Fire – and Shyamalan is planning on 3 movies, with The Last Airbender movie as Book 1: Water. In the story, there is the physical world with the Four Nations – Air Nomads, Water Tribe, Earth Kingdom, Fire Nation – and the Spirit World where the ancient spirits exist. The Avatar is the link between the two worlds, a divine reincarnated Being who exists in the mortal, physical world in human form, with the ability to travel to and from the Spirit World as needed. Within each of the Four Nations are certain people who have the ability to “bend” their natural element, using movements based on real world martial arts. Each bending choreography is matched to a similar martial arts style: waterbending – Tai Chi, earthbending – Hung Gar, firebending – Northern Shaolin Kung Fu, and airbending – Ba Gua. Rarely, benders can master more than their element: a waterbender can also heal, and a firebender can also bend lightning. The Avatar, who can bend all four elements, is tasked with maintaining peace between the Four Nations. Costumes were extensive and detailed. I especially loved the Northern Water tribe outfits of blue and white leather and fur. I did think Aang’s costume should have been more monkish – yellow and gold. Names: Shyamalan elected to change the pronunciation of some of the character’s names, to make them “more authentic”. Not a good idea. Aang is now pronounced “ahng” instead of “aingh”. And Sokka is now “soak-ka” instead of “sock-ka”. Seriously distracting. It’s like watching a Harry Potter movie, with “Harry” changed to “hari”. Hair: I had some serious hair issues with this movie. Katara – where are her ubiquitous hair loops? Firelord Ozai – where is his long hair? Prince Zuko – totally wrong; he should have a shaved head with ponytail. In the cartoon, when Zuko wears his head in a ponytail, it signifies he’s evil and focused on capturing the Avatar; when he wears his hair short and shaggy, he’s a force for good. Seeing him in the movie as evil with short, shaggy hair is jarring. Writing: While Shyamalan stays mostly true to the story, the main issue I had with this movie was with the writing. Aang: Noah Ringer plays him convincingly and naturally. But, where is the joy? The laughter? Aang is a child; a fun loving, yet reluctant hero. He likes to play games and go penguin sledding. And he laughs often. I don’t think he laughed once in the movie. Also missing were the beginnings of Aang’s feelings of love for Katara. Aang’s running away: In the movie, the reason Aang runs away is because “as avatar he can’t have a family”. Which doesn’t even make sense! He’s already being raised by monks, not by a “family”. In the cartoon, once the monks reveal Aang is the Avatar (4 years earlier than the normal age of 16, due to the urgent war situation), he is treated differently by everyone except Monk Gyatso, who as the monk who has raised Aang, is his beloved mentor and father figure. The head monks decide the world’s best interests are more important than Aang’s best interests, and decide to remove Aang from Monk Gyatso in order to accelerate and complete his training. Aang is distraught. He has lost his friends, his “father”, and the weight of the world is now on his shoulders. It is all too much, so he runs away – not intending to be gone 100 years, maybe just a couple days. The flawed logic of this “new” reason is distracting. Sokka: “Soakka” is Sokka’s evil twin. Just kidding! But seriously, Sokka is supposed to be funny; he is a brave, creative warrior, with a big heart. Not a bender, but always the “man with a plan”, and handy with a boomerang and sword. With a quick, sarcastic wit; always the victim of physical comedy. If anyone is going to get covered in Appa snot, or get soaked by accident from Katara, it’s Sokka. In the movie Sokka is too serious, and too old. He gets wet or frozen accidentally a couple times by Katara, but where is the quick wit? And he’s supposed to only be 15, yet looks like he’s 25. Uncle Iroh: Where was his defining characteristic of often speaking in riddles? And how many times do they have to explain that Zhao raided the ancient library and found the scroll that reveals the location and form of the Moon and Ocean Spirits? In the cartoon, it’s alluded to a couple of times, and revealed once at the oasis. In the movie, they spell it out in detail at least 3 times. I mean seriously, it’s like MAJOR PLOT POINT! PAY ATTENTION! There is no subtlety, or surprise. I hate being smacked in the face when watching a movie, like I’m an idiot, and need things repeatedly pointed out to me. Casting: Much has been made about the “racially insensitive” casting. After watching the movie, I don’t think it’s that big of an issue. However, Katara and Sokka’s grandmother is distracting – she looks out of place, like a British grandmother in a village of Inuits. The other characters feel true to their roles, especially Dev Patel who successfully exemplifies the conflicted, tortured, and determined Prince Zuko. CGI timing: With the exception of some timing issues, the bending CGI sequences were well done and seemed real and natural. For some of the fight sequences, the CGI and bending movements are not always clearly matched to each other, in action and effect. Also, people are leaping and avoiding, but the CGI fire/water/air/earth attacks aren’t there yet or are there too early. Music: Music seemed to be off at times – sometimes perfectly matched to the action and mood, and sometimes awkwardly inappropriate. I heard the classic Airbender fight sequence drum beat music once. Would liked to have heard it more! 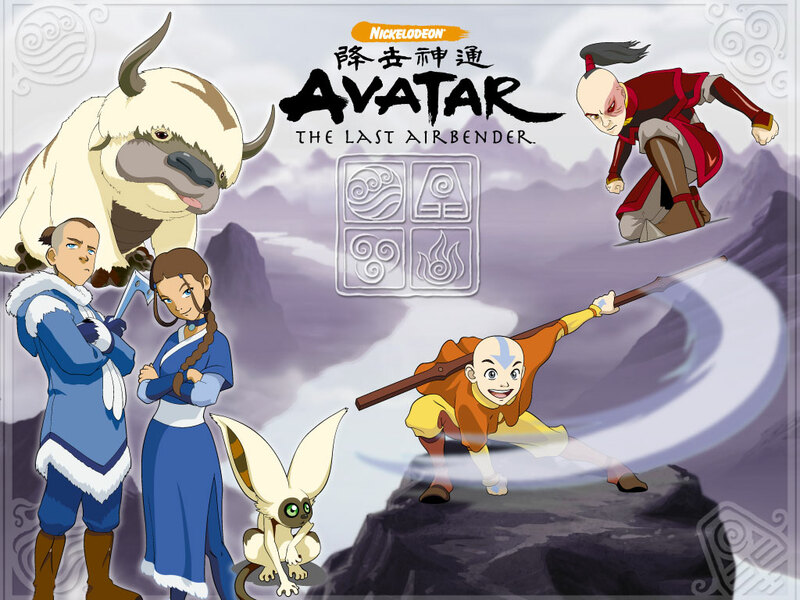 The Last Airbender is an epic adventure, set in a unique fantasy world, with a classic battle between good and evil, a reluctant hero and his devoted band of friends, each with their own strengths. A story of destiny, friendship, love, duty, honor, and family. The Last Airbender is definitely worth the ticket price for a 2D matinee, and with only mild violence and fighting, is appropriate for all ages. So grab your kids, and escape to another world for two hours of air conditioned comfort. And to truly understand this epic story, use Netflix, and treat yourself this summer to the animated Avatar: The Last Airbender series on DVD. It’ll take a while, but it’s worth it. Finally, a shout out to Shyamalan’s daughters – thanks for bringing visibility to this wonderful series, and tell your dad I’m looking forward to Book 2: Earth. Just finished watching the entire The Last Airbender cartoon series, Water, Earth, and Fire, and noticed something really cool! Did you know Lord Ozai is voiced by Mark Hamill (Luke Skywalker), Commander Zhao is voiced by Jason Isaacs (Lucius Malfoy), and Prince Zuko is voiced by Dante Bosco (Rufio, from the movie Hook). Best $75 I ever spent – I’ll try and get a review up soon.